Well, if you’re the proud owner of an iPhone 4, you’re in luck – this pocket-sized gizmo is your passport to getting your zoom on! 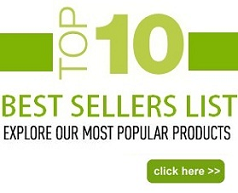 What’s more, because it comes with three built-in LED white lights for added illumination, you can be sure you won’t miss out on any of the minutiae. Not only that, thanks to the camera function on your handset, you can even snap fabulous digital stills of your discoveries. Portable: super mini size with ultra-light weight. 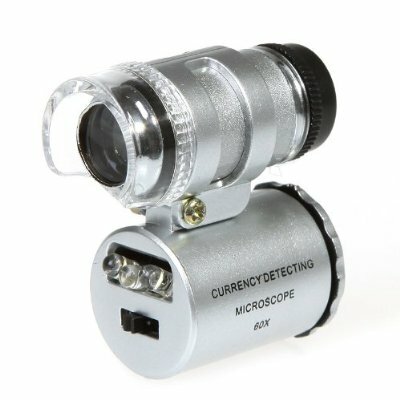 2 in 1 design: 60X power magnifier and UV currency detector. 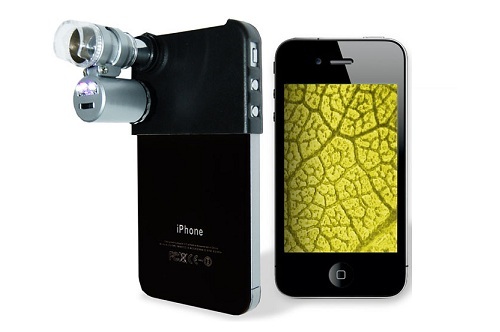 Matched with a special microscope cover for iPhone 4 & 4S, it can simply connect to your iPhone camera lens. Adjustable focus and adjustable LED light angle. 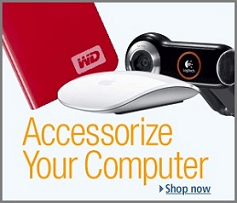 A soft faux leather pouch provides all-around protection.